Me and My Pink Mixer: Mug Swap! I remember thinking what a great idea! I love making new friends. 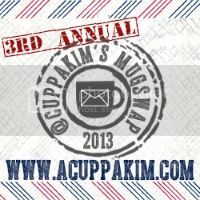 Well I waited all year long and then last month I finally saw Kim's post about signing up for Mug Swap 2013. I was on it right away! Basically what happens is that Kim assigns someone your name and you get someone else. You make TWO new blog friends! I was given Ally's name from Sweet Like Honey. It was so fun stalking her blog to find out more about her and what she likes. 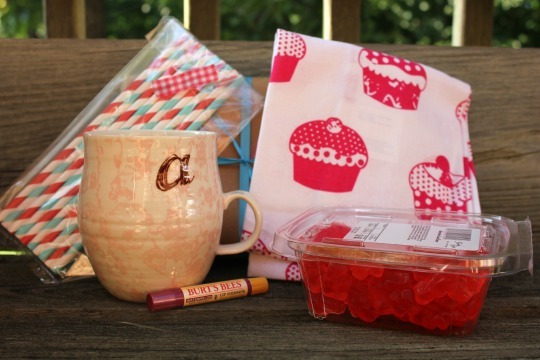 I sent Ally an Anthropologie mug, watermelon gummy bears, a cupcake dish towel, my favorite Burt's Bee's Lip Shimmer, paper straws and a little something extra for her little girl. I had a blast putting it all together! It felt like Christmas waiting for my mug swap to arrive! My fun package was from Robyn at The Farmer's Nest. Mug Swap 2013 was SO fun! Thanks Kim for putting this all together! 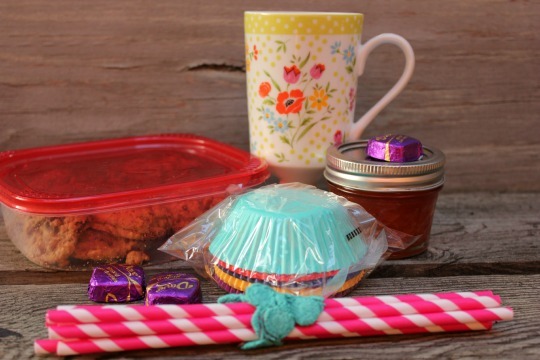 The homemade goodies!?! Omg amazing!! And a tub of just watermelon gummy bears!? Yum!!! You guys made both your packages so fun!! !